Casagrande UK are the exclusive UK distributor for Casagrande and it's range of foundation and piling construction equipment. We have been specialising in foundation piling and drilling equipment since the company was started in 1988. That's almost 30 years of experience in selling, supporting, servicing and maintaining Casagrande’s range of world-class foundation equipment. Casagrande was founded in Fontanafredda, Italy in 1963 and is a globally recognised brand with a reputation for innovation and high quality plant manufacture. Since it's inception over 50 years ago, Casagrande has grown into a truly global business, serving customers in the construction industry through its group companies in the USA, India and the Far East. Today the company employs 500 men and women who are passionate about producing the very highest quality machinery from it’s 120,000m2 factory. Casagrande has built over 20,000 machines during it's 54 year history with 95 out of every 100 machines manufactured today now sold outside of Italy. 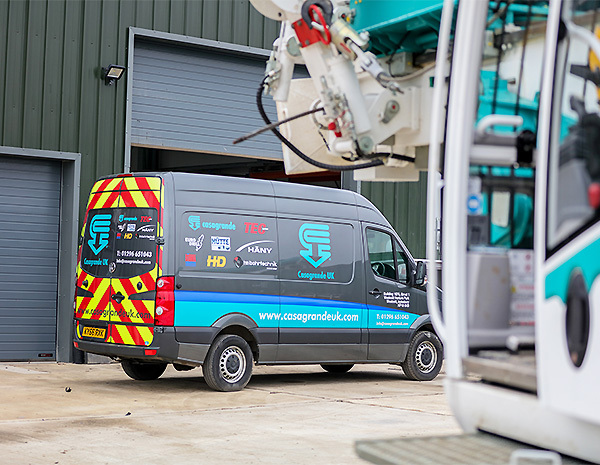 Casagrande UK is proud of it's history in representing the Casagrande brand and has been responsible for selling and supporting many hundreds of Casagrande machines in the UK market over the last 30 years.